Nice reception staff. 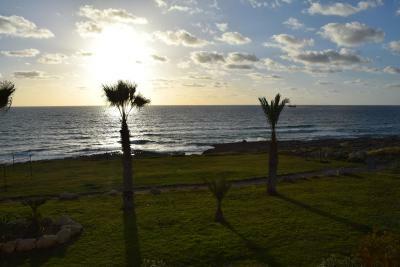 We had a lovely room just by the sea. Lovely breakfast. We will be back. 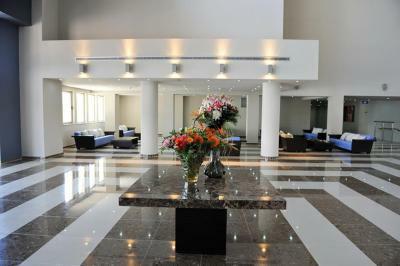 The hotel is nice and comfortable,clean and many room option. 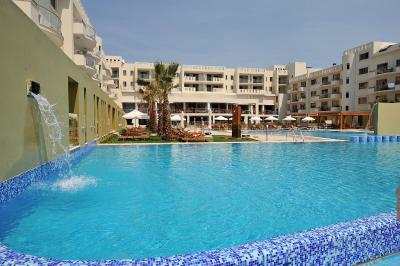 Outdoor pool is big and comfortable. 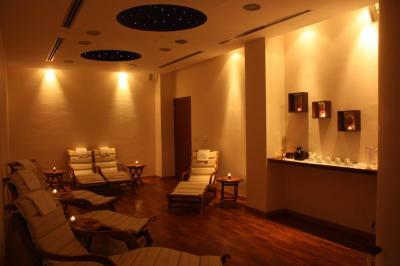 Inside pool and spa is pleasure to be in. Very good staff, Great breakfast. Good location. Beautiful interior. Good access to the activities offered. 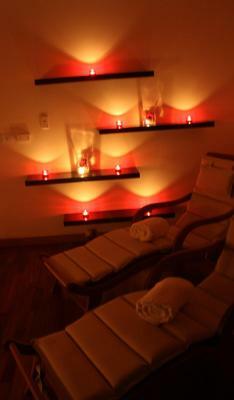 Location and cleanliness, staff were very friendly. The staff is awesome. Everyone was extremely friendly. We arrived at 1:30am and Mr Vasilis (may have spelled that wrong) was so sweet and so helpful. He even lent us his plug adaptor. The restaurant manager and chef were the best. Breakfast was great. Different themed dinners every night. Beautiful huge room. Indoor and outdoor pools were very well kept and just gorgeous. Very nice view to the sea and inside and outside pool area were very nice. 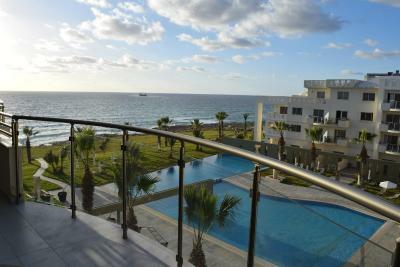 Scenery, swimming pool (both indoor and outdoor), great location to start walks along the beach. Pina colada cocktail was great at the bar and the lady serving it was one of the friendlieat at the hotel. The apartment was huge and very clean. We had a family of 5 staying and it was very comfortable and spacious. 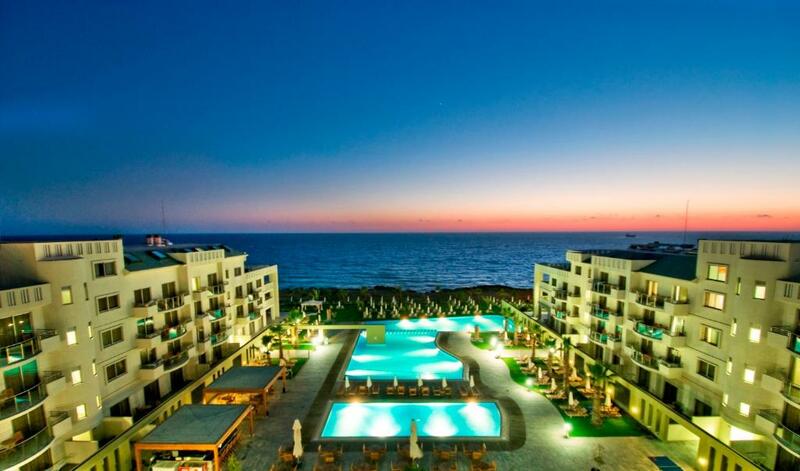 One of our top picks in Paphos City.Exclusive accommodation is on offer at Paphos' Capital Coast Resort and Spa. 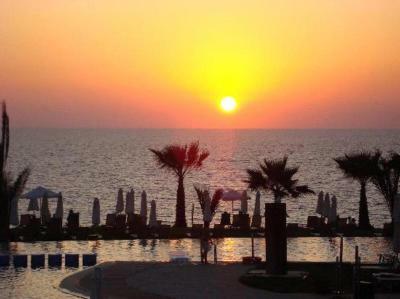 This beachfront resort has a Spa, featuring a hot tub, hammam, sauna and massage treatments. 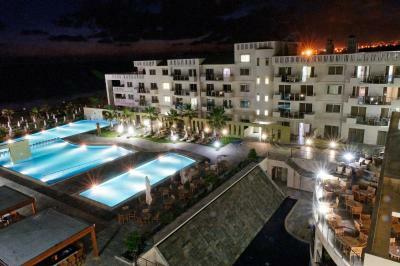 For guests staying at least 2 nights, the hotel offers free 2-way transfer from Paphos International Airport. 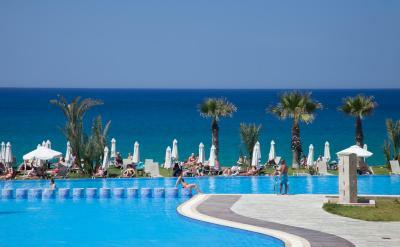 From/to Larnaca Airport, transfers can be arranged at an additional cost. Just 700 yards from the Capital Coast, the Tombs of the Kings are within walking distance. 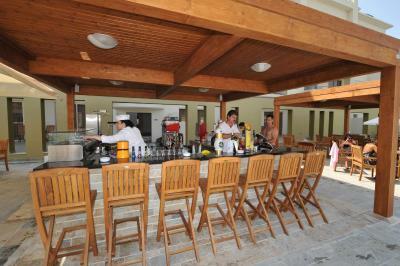 Capital Coast Resort & Spa is situated within a short driving distance from the 4 local Golf Courses. 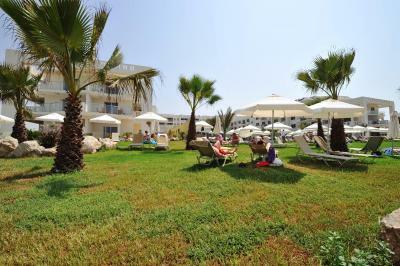 Capital Coast Resort And Spa has been welcoming Booking.com guests since 14 Jan 2010. 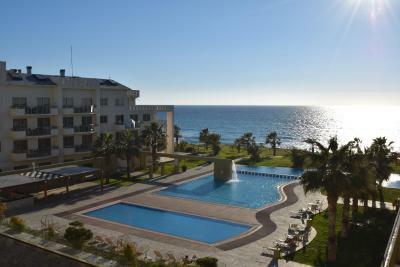 When would you like to stay at Capital Coast Resort And Spa? 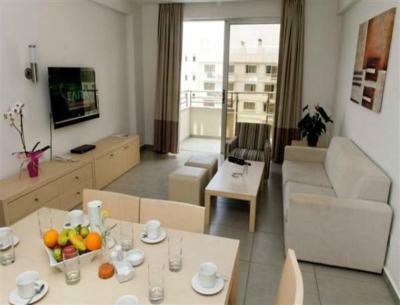 Features one separate bedroom and a living room, which can accommodate 2 children up to 12 years old. Please note that the 3rd and 4th adults are accommodated in foldaway beds. Please note that the 3rd and 4th adults are accommodated in extra foldaway beds. 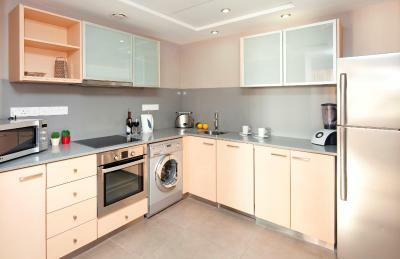 Features 2 separate bedrooms and a living room, which can accommodate 2 children up to 12 years old. 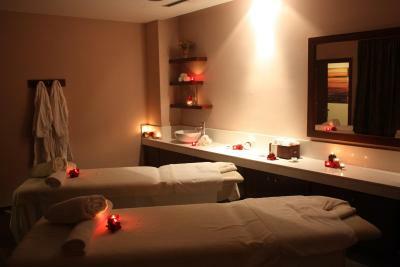 Includes one exclusive spa treatment per adult per day. 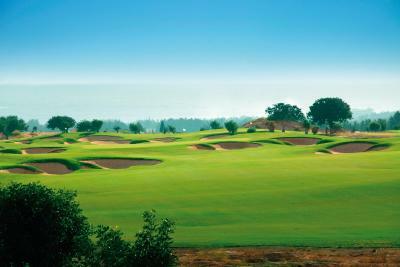 -free transfer to and from the golf courses. 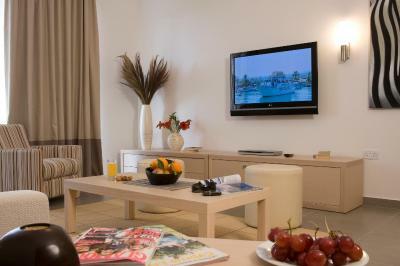 The Golf Suite features a flat screen TV both in the bedroom and in the seating area. 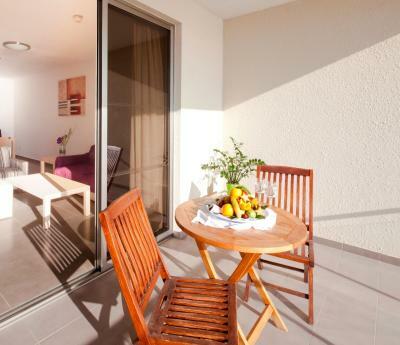 Executive Suites are more spacious and feature a large balcony with sun beds enjoying fantastic views of the Mediterranean Sea. Features contemporary décor in earthy tones and includes a satellite TV. 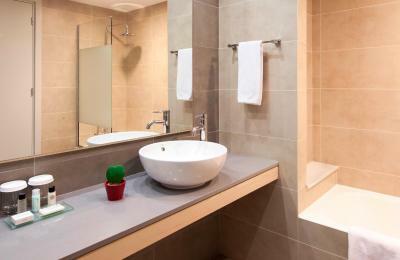 Please note that this room type can accommodate either 3 adults or 2 adults and 1 child up to 12 years old. 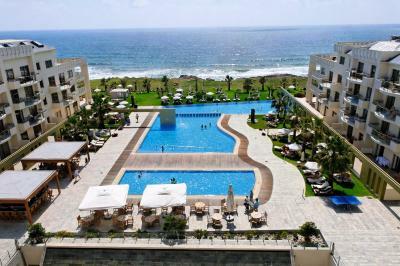 This package includes free airport transfer from and to Paphos Airport. Features contemporary décor in earthy tones and includes a satellite TV. Guests are kindly requested to sent their flight details at least 2 days in advance, in order for the hotel to arrange the pick-up.Contact details can be found on the booking confirmation. 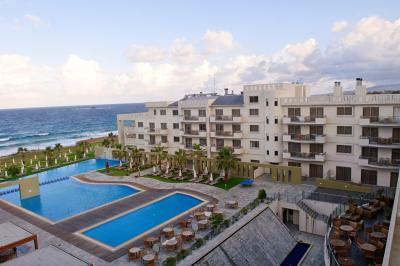 This package includes free airport transfer from and to Paphos Airport. Features a double sofa, which can accommodate 2 children up to 12 years old. Guests are kindly requested to sent their flight details at least 2 day in advance, in order for the hotel to arrange the pick-up.Contact details can be found on the booking confirmation. 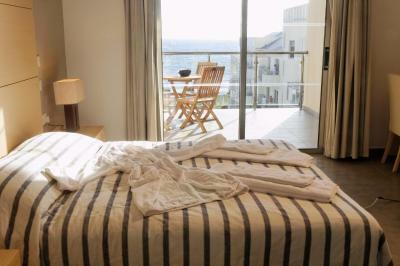 This spacious room includes 3 bedrooms and a balcony with panoramic sea views. 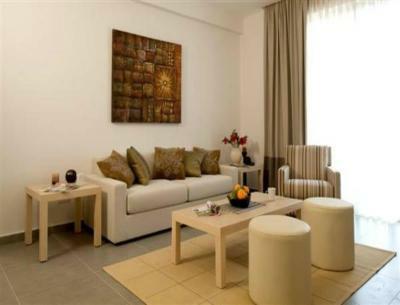 Features a double sofa, which can accommodate 2 children up to 12 years old. 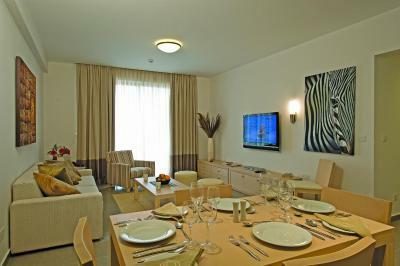 Please note that this room type can accommodate either 3 adults or 2 adults and 1 child up to 12 years old. Some rooms offer a balcony. 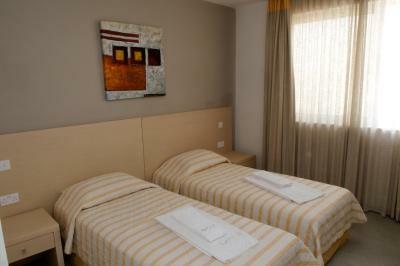 This double room features a satellite TV and air conditioning. It has no balcony. 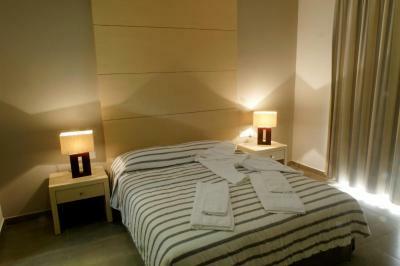 Features one separate bedroom with twin or double bed. 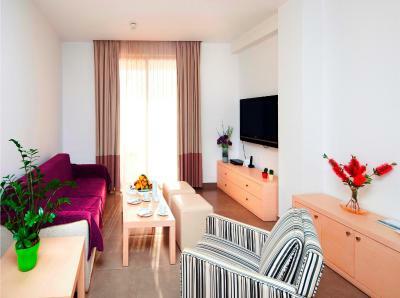 The living room where 3 children up to 12 years old can be accommodated, features a double sofa and an extra folding bed. 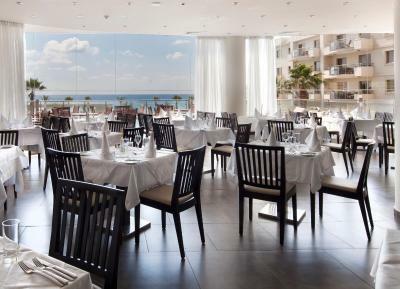 Here you will enjoy elegant classical modern exterior and spacious contemporary modern interiors that offer unobstructed sea views from within the resort and comfort from its furnishing and surroundings. 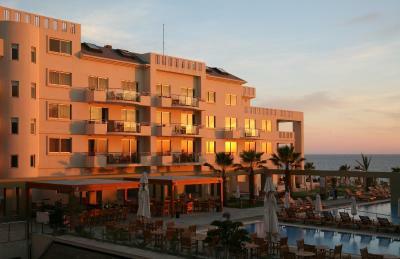 House rules Capital Coast Resort And Spa takes special requests - add in the next step! Capital Coast Resort And Spa accepts these cards and reserves the right to temporarily hold an amount prior to arrival. 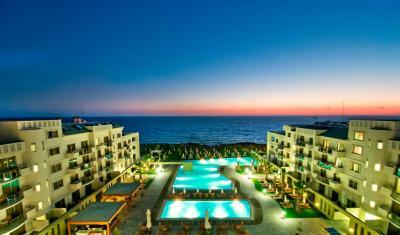 Please note for guests staying at least 2 nights, the hotel offers free 2-way transfer from Paphos International Airport. 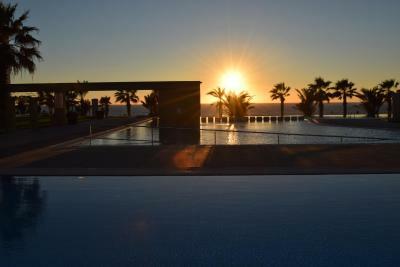 The free transfer is confirmed only after guests provide flight information, at least 48 hours prior to arrival. 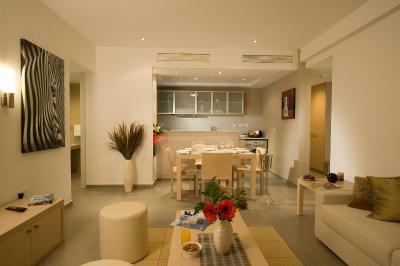 You can contact the property directly with the contact details provided in your confirmation. Kindly note that guests who wish to use a baby cot must contact the property at least 24 hours prior to arrival. We arrived late at night after long trip and was surprised that in the room no coffe or tea. We asked the reception about this and the answer was it's the hotel policy. 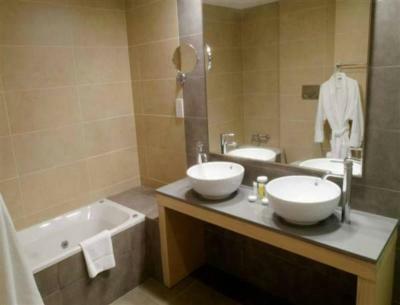 I expected from 4 star hotel to provide coffee, tea,sugar and mineral water. The hotel is rated 3 stars. The hotel is not ready for the season. Builders carry out filling and painting work. Jobs are not delimited. Visitors with small children next to them walk. One pool is closed at all. There is no beach. 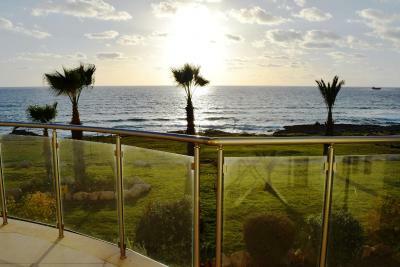 The hotel is located by the sea. Evening activities and shows - a singer twice in six days. Weak. No shows. We stayed here several years ago and loved it but this time there were things missing like robes in room, cleaning products in the kitchen and a few essentials like water and coffee. The jacuzzzi needed cleaning and repairing. Breakfast was great. 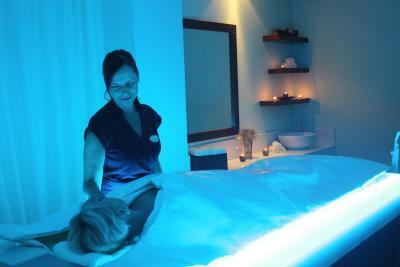 The staff was superb and attentive. Views from the room were wonderful. Mini market was well stocked. Rooms are not very soundproof so noises from next door rooms are disturbing. 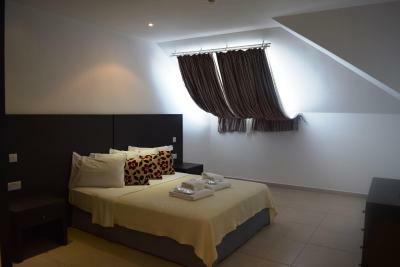 The supposed double bed was two singles pushed together this made sleeping there with a partner very uncomfortable, also it was advertised as having aircon, which was not on. I contacted the reception asking how to turn it on they replied I had to open the patio door, we barely slept all night there was no airflow. And the air ducts must have been connected with other rooms as heat came all night long with ours turned off. Completely ruined our only night we had together in private. Great hotel. 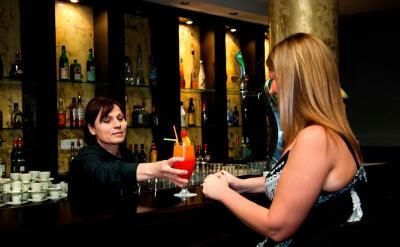 Very friendly staff from reception to restaurant and spa. 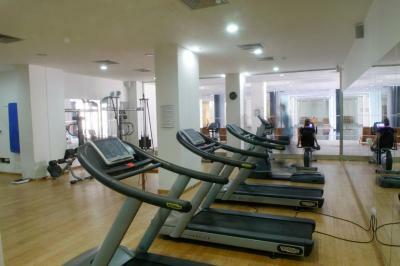 Great indoor pool facilities with free usage of jacuzzi sauna and steam bath. 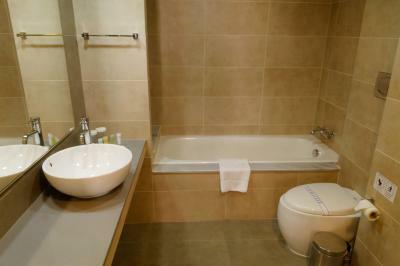 Nice lovely rooms confortable bed ,both a bathtub and shower, good size balcolny. The breakfast could improve a bit with crepes, mushrooms and hash browns but still the diversity is good. My third visit to this hotel and is well eorth the money. The air conditioning didn't work, the wifi access was limited to 3 devices and we were a party of 6. The kitchen was poorly equipped, the windows didn't open. I loved everything. The only thing I will suggest is a kid friendly choice for dinner. Maybe pizza, chicken nuggets and French fries. Just one available option, regardless of theme of the night. I have a picky child and it was a little rough with him some nights. But my other 2 children loved the food.